As a Nick Jr. Fan Club member you will receive a newsletter packed full of competitions and activities for you and your kids, each month. As members you and your child will be the first to know about all the latest Nick Jr. news. 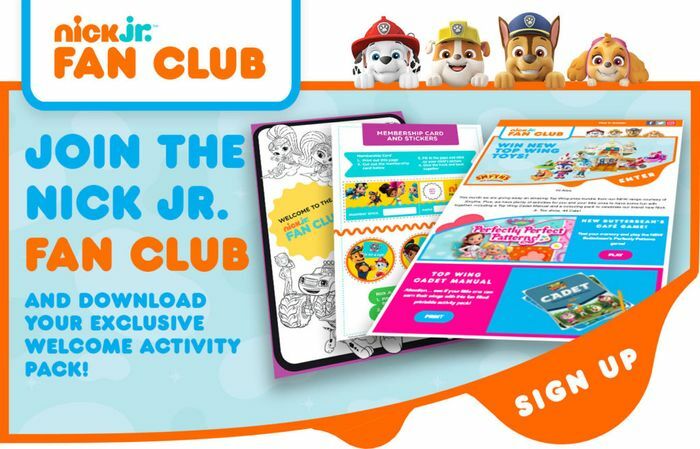 You will receive an exclusive printable activity pack, so your little one can become an official member of the club! And, you can also receive a special birthday email for your little one from Nick Jr., just fill in the details below. This is a great freebie, definitely gives the kids something to look forward to getting. Thank you for posting this.